One of the silver linings of my accident is that my dad has visited from upstate NY all the way out to southern California a few times which has enabled us to spend some quality time together. In September 2012, we took an impromptu trip up the coast to Big Sur and then on over to Yosemite. 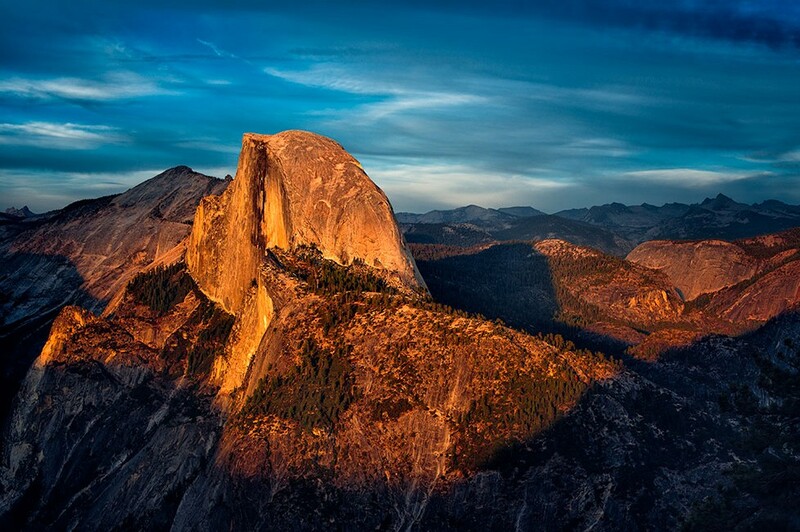 We planned the end of our day to be looking out on to Half Dome from Glacier Point. The clouds interrupted the majority of the sunset, but we did get a glimpse of raking light for about a minute before it quickly was closed off by encroaching clouds. You can see the light taping off on the ridge to the left which helps this moment immensely by allowing Half Dome to be center stage.